Register today to be a part of birding history! 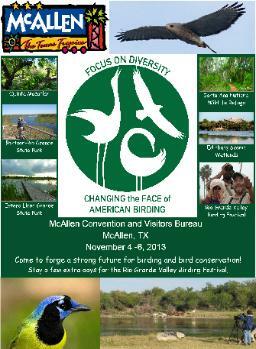 in McAllen, TX on Nov 4 - 6, 2013.
for birding and bird conservation. Conference registration packet is now available in PDF format. 1. You can print registration form and mail it. 2. You can also register online.